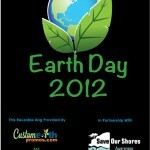 On Saturday, April 21st, 2012, the Santa Cruz Earth Day Festival will be held in San Lorenzo Park, Santa Cruz, California. The festival is a community event offering booths of educational information, fun activities for kids, a focus on green businesses and live music. Some of the event highlights are an organic wine garden from Hallcrest Vinyards, electric vehicle showcase, recycled wear fashion show, arts and crafts booth, tumbling gymnastics for kids, and free valet bike parking! A schedule of events can be found at Eco Cruz. The sponsers of the Santa Cruz Earth Day Festival include The City of Santa Cruz, the County of Santa Cruz, Ecology Action, Save Our Shores, the Community Foundation of Santa Cruz, local non-profits, and community volunteers. The Santa Cruz County plastic bag ban, which went into effect on March 20, 2012, has been 2 years in the making. SOS and Santa Cruz County would like to have restaurants included in the ban by the end of 2012. A lawsuit filed by the Save the Plastic Bag Coalition pressured the County to remove restaurants from the ban. The ban prohibits the use of plastic takeout bags at all retailers and imposes a fee on paper bags. To get the community ready for the ban, on March 20th, Save Our Shores handed out recycled shopping bags to shoppers, and in less than an hour, 300 were given away in front of one Safeway grocery store. In all, more than 1,000 bags were handed out county wide. Supporters of the ban hope Legislature eventually adopts a consistent statewide ban. On April 21st, along with hosting a booth, Save Our Shores is also hosting one of four public cleanups in Santa Cruz and Monterey. In 2011, 300 volunteers removed over 2,400 pounds of garbage from just two cleanup locations in Santa Cruz County. Over the years, Save Our Shores has collected 34,000 plastic bags from area beaches over the last several years, and they are among the most common pieces of litter found at the group’s regular beach cleanups. It’s still possible to volunteer on April 21st at Save Our Shores. Plastic bag bans are not only occuring here in the United States, they are happening all over the world in places like Bangladesh, Ireland, South Africa, India, China, Italy, Kenya, and many other countries. Bangladesh was one of the first country’s to ban polyethylene bags. From early 2002, beginning in the capital Dhaka and spreading later to the whole country, the use, production and marketing of polyethylene shopping bags was banned. Many reports credit the ban on polythene bags with a revival of the jute reusable bag industry and other sustainable and biodegradable alternatives. Save Our Shores will again be handing out free reusable shopping bags to interested people that visit the booth at the Santa Cruz Earth Day Festival thanks to donations by Custom Grocery Bags. However, using reusable shopping bags is only one of the earth friendly topics at the festival, many other eco-friendly practices such as use of solar power, water conservation and transportation will also be featured. The Santa Cruz Earth Day Festival 2012, in San Lorenzo Park, is a community event offering educational information, activities for kids, live music and a focus on green businesses.